Couple of weeks back while on ECR, I come across Uthandi beach and spent some time on its peaceful and pretty clean ambience. 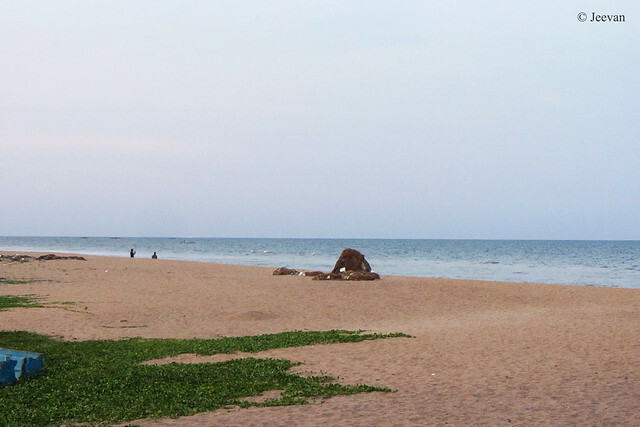 Uthandi beach exists (take left) with a km ahead to ECR toll gate, when coming from Chennai, and the beach comes to view at the end of VGP Uthandi Layout. 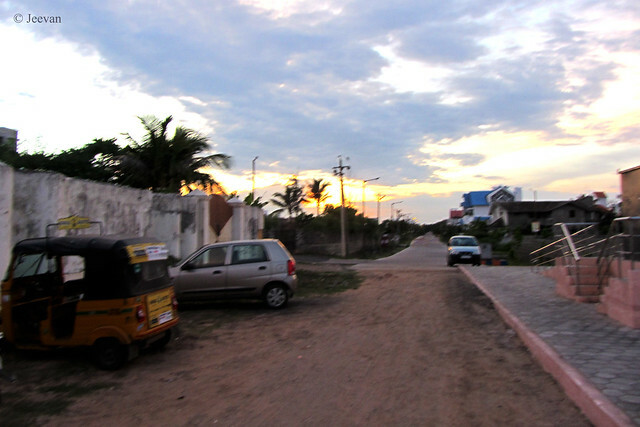 The road to the beach was well laid in concrete and has a police booth at the entrance of the road and also bears barriers across the road to prevent speeding. The layout has moderate number of houses and bungalows to look beautiful and could see many taking walks along their pet dogs – perhaps, because of the strange feeling and loneliness and calm being. Pretty! I'm surprised no one is swimming. It is long since I visited a beach. Superb shots! Very well taken. 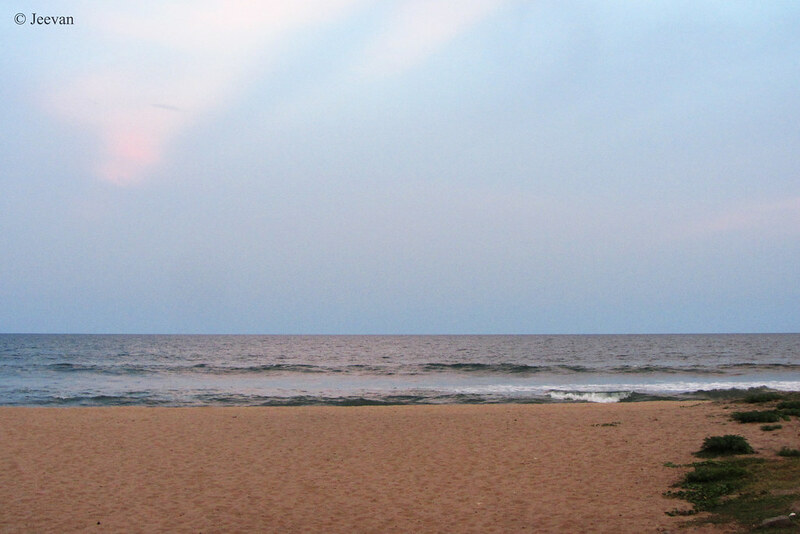 Wonderful shots from the beach. It looks clean. :pvely place to visit, Jeevan! Serene ambiance and special sky view in the 2nd image. 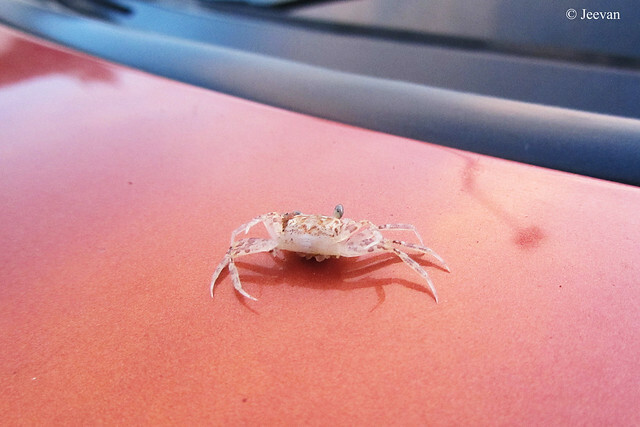 Well, pink crab on pink background and panoramic view of the splendid beach! We in the North are deprived of such gifts of nature! Beautiful shots you have taken and shared. I always loved to live in a house with the panoramic views of the ocean.